From rock climbing to spa treatments, kayaking to relaxing in hammocks, the list is almost never ending for the best things to do in Ao Nang. The first time we came to Krabi we decided to stay in Tonsai. This secluded beach on the Thai mainland is a rustic destination, great if you want to climb and sit around drinking happy shakes. For our return to the area we decided to base ourselves in a more easily accessible place. And with the huge variety of things to do in Ao Nang, it was an easy choice to settle here for a week. While the town itself is a quite busy and without character, the real beauty lies in the cliffs and jungles around. Here is our list for the absolute best things to do in Ao Nang. 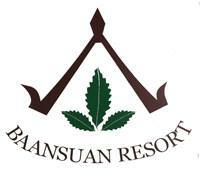 Coming Soon ACTIVITY & TOURS in Ao Nang Baan Suan Resort.